When I read that Nassim Nicholas Taleb said this is “one of the most important management books of all time”, I was intrigued. Usually I do not like general business books. But here, not only is it a great book, but fun to read! 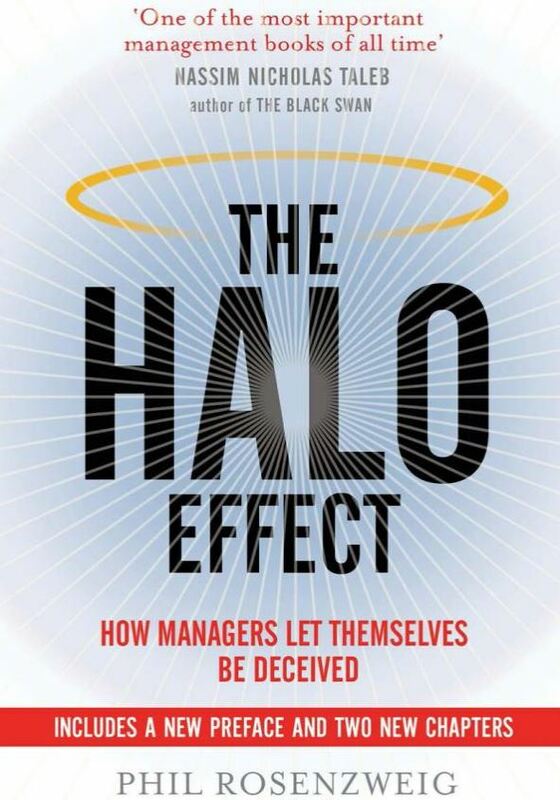 What is the halo effect? A tendency to make inferences about specific traits on the basis of a general impression [Page 50]. Rozenzweig concludes this 1st chapter with a beautiful story (page 16), again from Richard Feynman: In the South Seas, there is a cult of people. During the war they saw airplanes land with lots of materials, and they want the same thing to happen now. So they’ve arranged to make things like runways, to put fires along the sides of the runways, to make a wooden hut for a man to sit in, with two wooden pieces on his head like headphones and bars of bamboo sticking out like antennas – he’s the controller. And they wait for the airplanes to land. They’re doing everything right. The form is perfect. But it doesn’t work. No airplanes land. So I call these things Cargo Cult Science, because they follow all the apparent precepts and forms of scientific investigation, but they’re missing something essential, because the planes don’t land. He called that last section Science, Pseudoscience and Coconut Headsets. #9: The Delusion of Organizational Physics. Rosenzweig tries to explain the complexity of measuring company performance. What are the key elements that managers should take into account for excellence? And Rosenzweig shows that storytelling has been as important as research in that quest. He further claims that authors of bestsellers such as In Search of Excellence, Built to Last or From Good to Great who claim their results were based on research, indeed were more excellent story tellers than rigorous researchers. Again Rosenzwieg has nothing against interviews, he just warns the reader that they have to be meticulously prepared to avoid any bias and answers based on outcomes. “Another famous study, the Evergreen project, identified eight practices: strategy; execution; culture; structure; talent; leadership; innovation; and mergers and partnerships (Page 110). Yet once we see that performance is relative, it becomes obvious that companies can never achieve success simply by following a given set of steps, no matter how well intended; their success will always be affected by what rivals do” [Page 116]. “According to the Economist, Tom Peters can charge corporate clients up to $85,000 for a single appearance, and Jim Collins commands a fee of $150,000. There’s a lucrative market for spinning stories of corporate success. Will anyone hire (a researcher) at $85,000 or $150,000 a pop to talk about a statistically significant 4 percent difference in performance? Somehow it seems doubtful [page 136]. Rosenzweig finishes his book with examples of bold decisions from leaders at Goldman Sachs, Intel, BP, Logitech. Entrepreneurship inherently involves risks, but not doing anything would be much riskier. This entry was posted in Must watch or read and tagged Luck, Risk, Taleb on December 16, 2016 by Hervé Lebret. 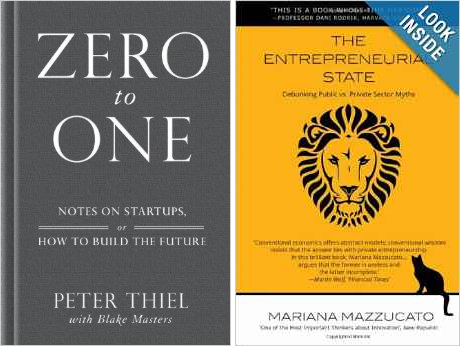 As you noticed if you read my previous posts, I’ve been quite impressed by Peter Thiel’s notes about start-ups. I’ve written 7 long parts. I had been similarly impressed by Mariana Mazzucato’s The Entrepreneurial State even if with only 5 posts! I said it already, I would have loved to attend their debate in a few days at the conference Human After All, Toronto 2014. But apparently they do not participate to the same roundtable anymore… (After reading what follows, I see that Taleb would have been a great addition). How do human beings truly react when confronted with conditions of genuine “unknown unknowns”? According to Frank Knight, “Uncertainty must be taken in a sense radically distinct from the familiar notion of risk, from which it has never been properly separated…The essential fact is that ‘risk’ means in some cases a quantity susceptible of measurement, while at other times it is something distinctly not of this character; and there are far – reaching and crucial differences in the bearings of the phenomena depending on which of the two is really present and operating… It will appear that a measurable uncertainty, or ‘risk’ proper, as we shall use the term, is so far different from an unmeasurable one that it is not in effect an uncertainty at all.” The economics literature from Knight onward is very good at laying out the propensity of markets to greatly overshoot and undershoot the fundamentals. However, economics does not adequately address the implications of “Knightean” uncertainty, because the discipline finds it hard to model this phenomenon. To get a full measure of this, one has to enter into the realm of psychology and neuroscience. That’s where the definition lies. Radical uncertainty, like so much else, is too important to be left to the realm of economics alone. wealth and material prosperity created by our entrepreneurs in and of themselves sufficient to produce desired social returns demanded in today’s world? PS (May 8, 2014): I just found that video of Thiel at SXSW. This entry was posted in Innovation and tagged Culture, Disruptive innovation, Founder, Innovation, Mazzucato, Taleb, Thiel, Uncertainty on March 21, 2014 by Hervé Lebret. As I said in The Entrepreneurial State: the important role of government in innovation (part 1), Mariana Mazzucato has written an important book even if I do not agree with all her arguments. We agree on the issue of funding of technologies, inventions and innovations. It has been generally understood that the commercialization of products and their prior development is the responsibility of the private sector in a capitalist economy. 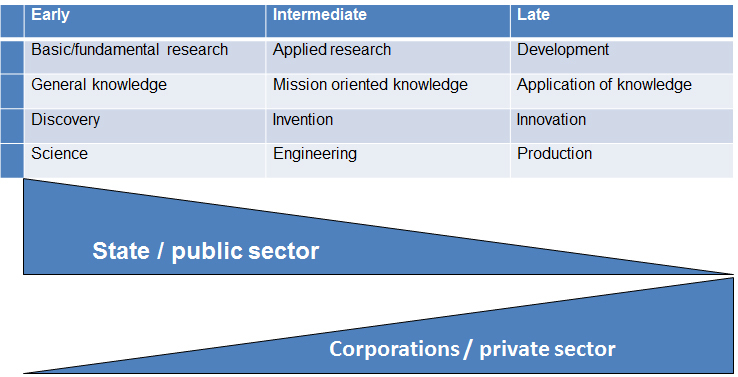 The funding of research (at least basic research) is generally the mission of the state, but applied research (though I never really understood what this is) might be done by the State as well as by the private sector. 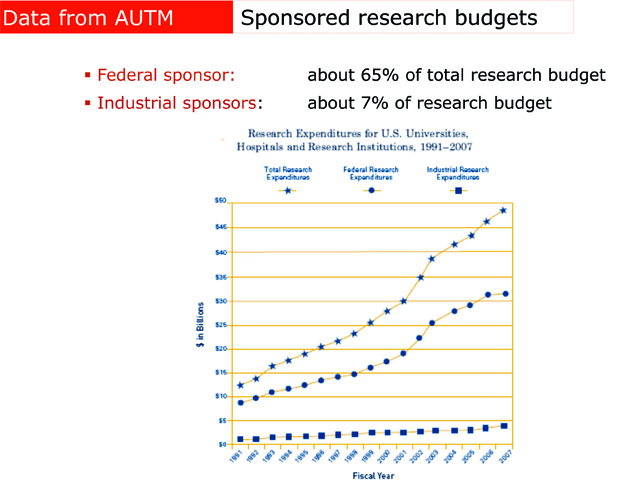 Figure 1: Federal and Industry funding of university research in the USA. 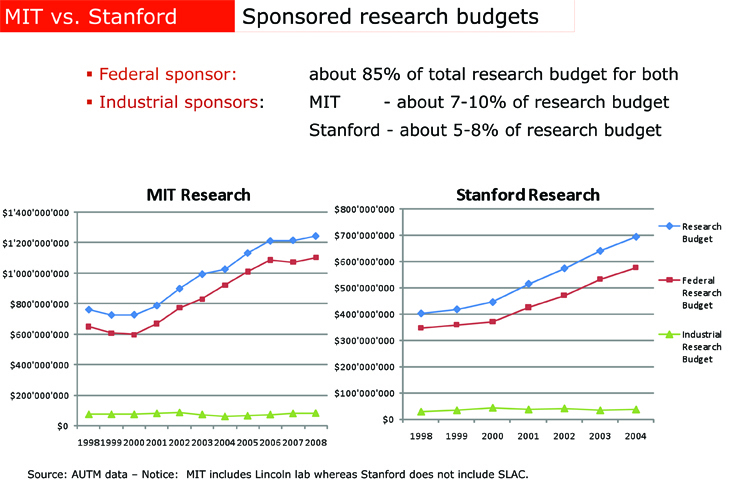 Figure 2: Federal and Industry funding of research at Stanford University and MIT. Chapter 4 – The US entrepreneurial state. In this short chapter, Mazzucato shows through four examples how the US government fostered innovation. These are DARPA (the funding of American research by the military), SBIR (The Small Business Innovation Research), Orphan Drugs and Nanotechnologies. On Darpa, “A series of small offices, staffed with leading scientists, are given considerable budget autonomy, … funding a mix of university-based researchers, start-ups, established firms and consortia… helping firms to get products to the stage of commercial viability”. [Page 78 ] Again the impact of DARPA in funding research is a no brainer. And Yes, I should be said. 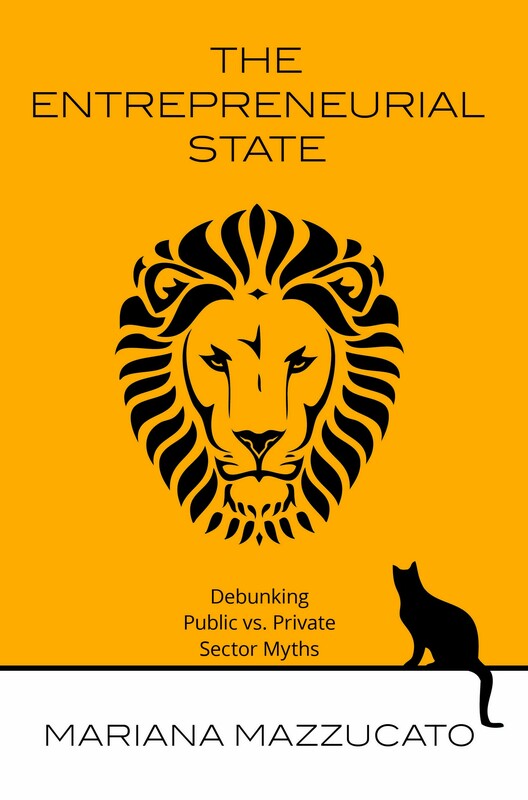 Mazzucato is right about too much silence on the role of the State. Check as a great reference Rebecca’s Lowen “Creating the Cold War University – the Transformation of Stanford”. I am less convinced about the SBIR. “Government agencies designate a fraction of their research funding to support small, independent, for-profit firms.” Mazzucato claims Apple was funded with such a fund, Continental Illinois Venture Corp. but I checked Apple IPO document and CIVC was not at the origin of the company. Arthur Rock and Don Valentine convinced Markkula to help the two Steve and invested in January 1979. Even if CIVC invested that early, it was a minority and passive shareholder. Furthermore, CIVC was the VC arm of a bank, so not a purely State investment… She also quotes Lerner and Audretsch, leading professors as references. In a recent book (Boulevard of Broken Dreams – Pages 125-126), the same Lerner explains that the lack of flexibility of SBIR and ATP was detrimental (it had to be pre-commercial funding for ATP; start-ups had to be 51% owned by US citizens or residents, to the point that the presence of venture capital could exclude the firm from SBIR funding!) I have been struggling for years to find the real impact of SBIR and could never find convincing data of an important role. State direct role in VC funding has been a recurrent debate with unclear answers for years. Well again many things are unclear and somehow contradictory in the arguments. If nanotechnology was just another low hanging fruit thanks to the State investment, we should have already seen early results. The US initiative on Nanotech was launched in 2000. There has been a very visible start-ups such as Nanosys or A123 to a lesser extent. Next is Nanosys cap. table as of 2004. One can read the then and additional funding from private sources. I am now reading chapter 5 and will come back on Mazzucato’s book in a part 3! This entry was posted in Innovation and tagged Entrepreneurship, Innovation, Intellectual Property, Mazzucato, SME, Start-up, Taleb, Venture Capital on October 13, 2013 by Hervé Lebret. Let me now quote Mariana Mazzacuto following her book linearly. You can also listen to her when she gave a talk at TedX. Note: *Knightian uncertainty relates to the “immeasurable“ risk, i.e. a risk that cannot be calculated. It is naive to expect venture capital to lead in the early and most risky stage of any new economic sector today** (such as clean technology). 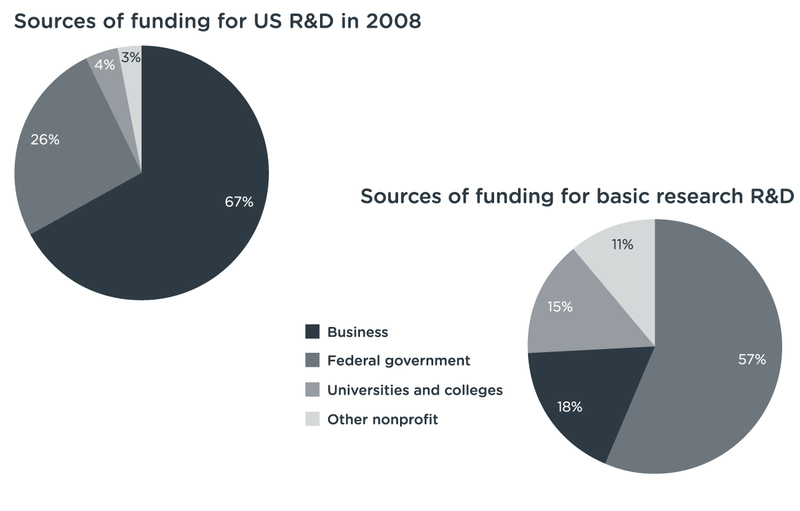 In biotechnology, nanotechnology and the Internet, venture capital arrived 15-20 years after the most important investments were made by public sector funds. (Page 23) The State has been behind most technological revolutions and periods of long-term growth. This is why an “entrepreneurial” state is needed to engage in risk taking and the creation of a new vision. Note: ** Well maybe not in the 50s to the 70s, certainly in the last 10 years. Chapter 2 – Technology, Innovation and Growth. An “evolutionary theory” explains this as a constant process of differentiation among firms, based on their ability to innovate. Selection does not always lead to “survival of the fittest” both due to the effects of increasing returns and also to the effects of policies. Selection dynamics in products markets and financial markets may be at odds. Regional systems of innovation focus on the cultural geographical, and institutional proximity that creates and facilitate transactions between different socioeconomic actors, including local administrations, unions and family-owned companies… The State does this by rallying existing innovation networks or by facilitating the development of new ones that bring together a diverse group of stakeholders. But a rich system of innovation is not sufficient. The State must develop strategies for technological advance. Mazzacuto finishes Chapter 2 with 6 myths about innovation I totally agree with! Myth 2: Small is Beautiful. “There is confusion between size and growth.” What is important is the “role of young high-growth firms. Many small firms are not high-growth. […] Most of the impact is from age.” “Targeting assistance to SMES through grants, soft loans and tax breaks will necessarily involve a high degree of waste. While this waste is a necessary gamble in the innovation process,” it should be targeted on high growth and not SMEs, i.e. support “young companies that have already demonstrated ambition”. Myth 3: Venture Capital is Risk-Loving. “Risk capital is scarce in the seed stage; it is concentrated in areas of high-growth potential, low technological complexity and low capital intensity.” […] “The short-term bias is damaging to the scientific exploration process which requires longer-term horizon and tolerance to failure.” “Rewards to VC have been disproportional to risks taken”, but Mazzacuto also recognizes that “Venture capital has succeeded more in the US when it provided not only committed finance, but managerial expertise.” Finally “The progressive commercialization of science seems to be unproductive”. Myth 6: Business Requires Less Tax. “The R&D tax credit system does not hold firms accountable as whether they have conducted new innovation that would not otherwise have taken place, or simply pursued routine forms of product development.” “As Keynes emphasized, business investment is a function of the gut instinct of investors about future growth prospects.” This is impacted not by tax break, but by the quality of the science base, education, credit system and human capital. “It is important for innovation policy to resist the appeal of tax measures of different kinds”. Note: *** Internet, GPS, Touch screen, Siri. –	research is not innovation & the transfer is where entrepreneurship occurs so that investing in research is not innovating or even being entrepreneurial. This is at least my experience in the field. This entry was posted in Innovation, Must watch or read and tagged Entrepreneurship, Innovation, Intellectual Property, Mazzucato, SME, Start-up, Taleb, Venture Capital on October 9, 2013 by Hervé Lebret. Statistics: Garbage In, Garbage Out? I have already talked about statistics here, and not in good terms. 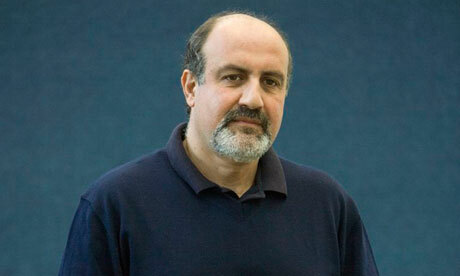 It was mostly related to Nicholas Nassim Taleb‘s works, The Black Swan and Antifragile. But this does not mean statistics are bad. They may just be dangerous when used stupidly. It is what Charles Wheelan explains among otehr things in Naked Statistics. Naked Statistics belongs to the group of Popular Science. Americans often have a talent to explain science for a general audience. Wheelan has it too. 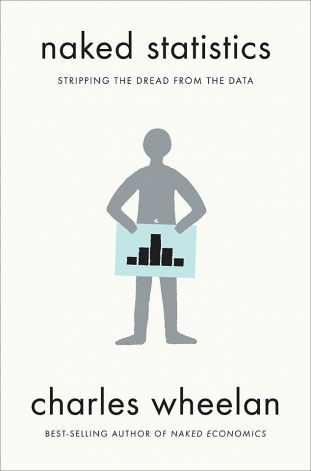 So if you do not know about or hate the concepts of mean/average, standard deviation, probability, regression analysis, and even central limit theorem, you may change your mind after reading his book. Also you will be explained the Monty Hall problem or equivalent Three Prisoners problem or why it is sometimes better (even if counterintuitive) to change your mind. Finally Wheelan illustrates why statistics are useless and even dangerous when the data used are badly built or irrelevant (even if the mathematical tools are correctly used!). Just one example in scientific research (which is another topic of concern to me) “This phenomenon can plague even legitimate research. The accepted convention is to reject a hypothesis when we observe something that would happen by chance only 1 in 20 times or less if the hypothesis were true. Of course, if we conduct 20 studies, or if we include 20 junk variables in a single regression equation, then on average, we will get 1 bogus statistically significant finding. The New York Times magazine captured this tension wonderfully in a quotation from Richard Peto, a medical statistician and epidemiologist: “Epidemiology is so beautiful and provides such an important perspective on human life and death, but an incredible amount of rubbish is published”. This entry was posted in Must watch or read and tagged Mathematics, Science, Statistics, Taleb on June 27, 2013 by Hervé Lebret. The concept of Black Swan was created by Nassim Nicholas Taleb in his works on risk and randomness and popularized by a best-seller published in 2007 and sold over 3 million copies! Taleb explains the concept of Black Swan as follows: “There are two very distinct classes of statistics. The first defines the Mediocristan, the second defines the Extremistan. Without going into much detail, the Mediocristan exceptions occur, but don’t carry large consequences. Add the heaviest person on the planet to a sample of 1000. The total weight would barely change. In Extremistan, exceptions can be everything (they will eventually, in time, represent everything). Add Bill Gates to your sample: the total wealth may increase by a factor of 10,000. The first kind is of “Gaussian-Poisson” nature with thin tails, the second kind is of “fractal” or Mandelbrotian nature, with fat tails. But note here an epistemological question: there is a category of “I don’t know” that I also bundle in Extremistan – simply because I don’t know much about the probabilistic structure or the role of large events.” The Black Swans are unknown events, in Extremistan. These events are rare, very rare, unpredictable and have a huge impact. Ironically, we tend to rationalize them afterwards. The fall of the Berlin Wall, the events of September 11th, the Fukushima accident are examples of Black Swans. The world of high-tech entrepreneurship is particularly well described with the concepts of Taleb. We have hundreds of start-ups in Switzerland. Thousands of start-ups are founded each year around the world. But a small number grows and survives. An even smaller number will become a great success. Logitech, Swissquote, Actelion in Switzerland. But if it were only about that kind of success, using the concept of Black Swan here would be misleading. Google and Apple are two real Black Swans. The extent of the success of these two former start-ups was simply unpredictable. Many authors have tried to rationalize the success after the fact, but failed, I think. Apple market capitalization is about twice as large as any other company. Steve Jobs, an unlikely entrepreneur, founded it in 1976 at the age of 21 and even more incredibly, he saved it from disaster with his comeback in 1997. Read the new book “I’m Feeling Lucky” on Google’s first steps and you will understand the extraordinary exceptionality of its two founders, Sergei Brin and Larry Page. Google is less than 15 years old, counts more than 50,000 employees and has nearly $40B in revenue. The Black Swan may have a quite simple explanation. It often has its roots in the weaknesses (for disasters) and genius (for the wonders) of the human species. Albert Einstein, Leonardo da Vinci, Steve Jobs and Lionel Messi are creators of genius. It is possible to quantify through science and technology many phenomena, but it is still difficult to measure human capabilities. Black Swans would probably not be as unpredictable if they did not have their root in the human interference in nature. This entry was posted in Innovation and tagged Black Swan, EPFL, Start-up of the month, Taleb on May 13, 2013 by Hervé Lebret. Here’s probably one of the toughest post I ever had to write and I am not sure it is a good one, even if the topic I am addressing is great and important. But it’s been a challenge to summarize what I learnt: Nicholas Nassim Taleb gives in this follow-up to the Black Swan a very interesting analysis of how the world can be less exposed to Black Swans, not by becoming more robust only, but by becoming antifragile, i.e. by benefiting from random events. His views include tensions between the individual and the groups, how distributed systems are more robust than centralized ones, how small unites are less fragile than big ones. This does not mean Taleb is against orgamizations, governments or laws as too little intervention induces totally messy situations. It is about putting the cursor at the right level. Switzerland represents for Taleb a good illustration of good state organizations with little central government, a lot of local responsibility. He has similar analogies for the work place, where he explains that an independent worker, who knows well his market, is less fragile to crises than big corporations and their employees. One way to make systems less fragile is to put some noise, some randomness which will stabilize them. This is well-known in science and also in social science. Just remember Athens was randomly nominating some of its leaders to avoid excess! Now let me quote the author. These are notes only but for serious reviews, visit the author’s website, www.fooledbyrandomness.com/. First Taleb is, as usual, unfair but maybe less than in the Black Swan. Here is an example: “Academics (particularly in social science) seem to distrust each other, […] not to mention a level of envy I have almost never seen in business… My experience is that money and transactions purify relations; ideas and abstract matters like “recognition” and “credit” warp them, creating an atmosphere of perpetual rivalry. I grew to find people greedy for credentials nauseating, repulsive, and untrustworthy.” [Page 17] Taleb is right about envy and rivalry but wrong in saying it is worse in academia; I think it is universal! In politics for example. But when money is available, maybe rivalry counts less than where there is little. “The antifragility of some comes necessarily at the expense of the fragility of others. In a system, the sacrifices of some units – fragile units, that is, or people – are often necessary for the well-being of other units or the whole. The fragility of every start-up is necessary for the economy to be antifragile, and that’s what makes, among other things, entrepreneurship work: the fragility of the individual entrepreneurs and their necessarily high failure rate”. [Page 65] What surprised me later is that Taleb shows that this is true of restaurants (not many succeed) as much as of high-tech start-ups. So it is not only about the uncertainty of new markets, but about uncertainty above all. I have to admit Taleb is not easy to read. Not because it is complex (sometimes his ideas are pure common sense), but because it is dense with different even if consistent ideas. The book is divided in 25 chapters, but also in 7 books. In fact, Taleb insists on it, he might have written 7 different books! Even his mathematics is simple. His definition of convexity is a little strange though I found it interested (I teach convex optimization, and you might not know, it was the topic of my PhD!). Taleb is skeptical with experts, with anyone believing in a linear model academia -> applied science ->practice (“lecturing birds how to fly”); he believes in tinkering, heuristics, apprenticeship, and makes again many enemies for free! He claims the jet engine, financial derivatives, architecture, medicine were first developed by practitioners and then theorized by scientists, not invented or discovered by them. Why is fragility non linear? Taleb sometimes gives the feeling of contradictions: marketing is bad, but Steve Jobs is great; barbell strategy and optionality is great, but isn’t it about risks and downsides transferred to others [Isn’t Thales a pure speculator? ], cigarettes are bad but traditions are good. You now know why it has been a challenge. 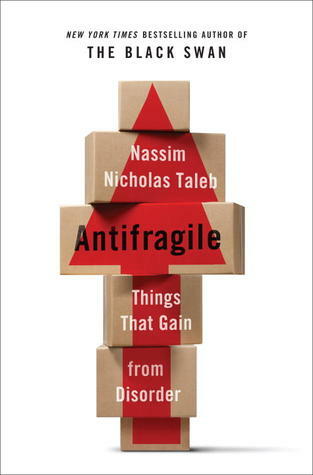 A very strange, dense, fascinating book, but if you like these concepts, you must read Antifragile. In fact you must read the Black Swan first, if you have not and if you like it, I am sure you will read Antifragile. This entry was posted in Innovation, Must watch or read and tagged Black Swan, Innovation, Risk, Taleb on January 21, 2013 by Hervé Lebret. If you understand French, you might be interested in how I explained the Black Swan on French-speaking radio broadcast Babylon on Espace 2. You just have to click on the picture. Many thanks to Jean-Marc Falcombello for the time he gave me to describe Taleb’s ideas. It is 19 minutes long – between 23:15 and 42:00. This entry was posted in Innovation and tagged Black Swan, Risk, Taleb, Uncertainty on August 31, 2012 by Hervé Lebret. When I talked to friends and colleagues about The Black Swan (“BS”), they were surprised about my interest in the movie with Natalie Portman. I cannot say, I have not watched it. I was talking about Nassem Nicholas Taleb’s book and theory. Some other friends classified at it as American b… s…, these superficial books that give advice on anything and that seem to always become bestsellers; my colleagues would classify it as airport literature, not to be read in academic circles. I read it and enjoyed it, but I have to admit Taleb is sometimes painful. Is it because he was so much frustrated by I do not know whom or what or is it because he is so proud of his certainties? I am not sure. But his ideas are certainly worth thinking about more than a minute. (Whereas you forget about airport American b… s… after 30 seconds). So back to the BS. You’ll find great accounts of his book or of his theory, e.g. so I will not try to do the same. There are two classes of probability domains—very distinct qualitatively and quantitatively. The first, thin-tailed: Mediocristan”, the second, thick tailed Extremistan. Before I get into the details, take the literary distinction as follows: In Mediocristan, exceptions occur but don’t carry large consequences. Add the heaviest person on the planet to a sample of 1000. The total weight would barely change. In Extremistan, exceptions can be everything (they will eventually, in time, represent everything). Add Bill Gates to your sample: the wealth will jump by a factor of >100,000. So, in Mediocristan, large deviations occur but they are not consequential—unlike Extremistan. Mediocristan corresponds to “random walk” style randomness that you tend to find in regular textbooks (and in popular books on randomness). Extremistan corresponds to a “random jump” one. The first kind I can call “Gaussian-Poisson”, the second “fractal” or Mandelbrotian (after the works of the great Benoit Mandelbrot linking it to the geometry of nature). But note here an epistemological question: there is a category of “I don’t know” that I also bundle in Extremistan for the sake of decision making—simply because I don’t know much about the probabilistic structure or the role of large events. Black Swans are the unknown deviations in Extremistan. Here are more notes taken while reading. [Page xxii] The black swan is characterized by “rarity, extreme impact and retrospective (though not prospective) predictability” (with additional footnote: the occurrence of a highly improbably event is the equivalent of the nonoccurrence of a highly probably one. -the overvaluation of factual information and the handicap of authoritative and learned people – when they platonify. [Page 15] While in the past a distinction had been between drawn Mediterranean and non- Mediterranean (i.e., between the olive oil and the butter), in the 1970s, the distinction suddenly became between Europe and non-Europe. [Page 77] The answer is that there are two varieties of rare events: a) the narrated Black Swans, those that are present in the current discourse and that you are likely to hear about on television, and b) those nobody talks about, since they escape models – those that you would feel ashamed discussing in public because they do not seem plausible. I can safely say that it is entirely compatible with human nature that the incidences of Black Swans would be overestimated in the first case, but severely underestimated in the second one. [Page 80] One death is a tragedy; a million is a statistic. […] We have two systems of thinking. System 1 is experiential, effortless, automatic, fast, and opaque. System 2 is thinking, reasoned, local, slow, serial, progressive. Most mistakes come from using system 1 when we think we use system 2. [Page 174-179] Poincaré is a central personality of Taleb’s theory, in particular through the 3-body problem. According to Taleb, “Poincaré angrily disparages the use of the bell curve.” Now the next figure simply illustrates the concept of sensitivity to initial conditions. Operation 1: imagine an ice cube and consider how it may melt. Operation 2: consider a puddle of water. Try to reconstruct the shape of the ice-cube. The forward process is generally used in physics and engineering, the backward process in nonrepeatable, nonexperimental historical approaches. And the backward is much more complex to analyze. [Page 198] While in theory it is an intrinsic property. In practice, randomness is incomplete information. Nonpractitioners do not understand the subtlety. A true random process does not have predictable properties. A chaotic system has entirely predictable properties, but they are hard to know. a) There are no functional differences in practice between the two since we will never get to make the distinction. b) The mere fact that a person is talking about the difference implies he has never made a meaningful decision under uncertainty – which is why he does not realize that they are indistinguishable in practice. Randomness in practice, in the end, is just unknowledge. The world is opaque and appearances fool us. [Page 204] Trial and error means trying a lot. In the Blind Watchmaker, Richard Dawkins brilliantly illustrates this notion of the world without grand design, moving by small incremental random changes. Note a slight disagreement on my part that does not change the story by much: the world, rather moves by large incremental random changes. Indeed, we have psychological and intellectual difficulties with trial and error and with accepting that series of small failures are necessary in life. “You need to love to lose”. In fact the reason I felt immediately at home in America is precisely because American culture encourages the process of failure, unlike the cultures of Europe and Asia where failure is met with stigma and embarrassment. [Page 207] When you have a very limited loss, you need to be as aggressive as speculative and sometimes as unreasonable as you can be. Middlebrow thinkers sometimes make the analogy with lottery tickets. It is plain wrong. First lottery tickets do not have a scalable payoff. Second, lottery tickets have known rules. [Page 214] Someone who is marginally better can easily win the entire pot. The problem is the notion of “better.” People take from the poor to give to the rich. An initial advantage follows someone through life and keep getting cumulative advantages. Failure is also cumulative. The advent of modern media has accelerated these cumulative advantages. The sociologist Pierre Bourdieu noted a link between the increased concentration of success and the globalization of culture and economic life. [Page 221] Taleb claims new comers mitigate the cumulative advantages. “of the five hundred largest US companies in 1957, only seventy-four were still part of that select group, the S&P 500, forty year later. Only a few hundred had disappeared in mergers; the rest either shrank or went bust. Actors who win an Oscar tend to live on average five years longer than their peers who don’t. People live longer in societies that have flatter social gradients. Taleb defines himself as a skeptic and his mentor are Hayek and Popper. He links it with humility in the following: [Page 190] Someone with a low degree of epistemic arrogance is not too visible, like a shy person at a cocktail party. We are not predisposed to respect humble people, those who try to suspend judgment. Now contemplate epistemic humility. Think of someone heavily introspective, tortured by the awareness of his own ignorance. He lacks the courage of the idiot, yet has the rare gust to say “I don’t know”. He does not mind looking like a fool or, worse, an ignoramus. He hesitates, he will not commit, and he agonizes over the consequences of being wrong. He introspects, introspects, and introspects until he reaches physical and nervous exhaustion. [Page 146] We know the difference between know-how and know-what. The Greeks made a distinction between techne and episteme, craft and knowledge. We have experts who tend to be experts: astronomers, pilots, physicists, mathematicians, accountants and experts who tend to be… note experts: stockbrokers, psychologists, councilors… Simply things that move and therefore require knowledge do not usually have experts and are often Black-Swan-prone. The negative effect of prediction is that those who have a big reputation are worse predictors than those who had none. [Page 166] The classical model of discovery is as follows: you search for what you know (say, a new way to reach India) and find something you didn’t know was there (America). It’s called serendipity. A term coined in a letter by the writer Hugh Walpole who derived it form a fairy tale, “The Three Princes of Serendip” who “were always making discoveries by accident or sagacity, of things they were not in quest of.“ […] Sir Francis Bacon commented that the most important advances are the least predictable ones. [Page 184] Another example of Taleb’s target: optimization… Optimization consists in finding the mathematically optimal policy that an economic agent could pursue. Optimization is a case of sterile modeling [discussed also in Chpater 17]. [Page 227] Which may explain “we live in a society of one person, one vote, where progressive taxes have been enacted precisely to weaken the winners”. I am not sure if Taleb does not prefer the aristocratic world. At least he seems to favor his friends from that world. [Page 255] True, intellectually sophisticated characters were exactly what I looked for in life. My erudite and polymathic father – who, were he still alive, would have only been two weeks older than Benoît Mandelbrot [his mentor on non-linear fractals] – liked the company of extremely cultured Jesuit priests. I remember these Jesuit visitors […] I recall that one has a medical degree and a PhD in physics, yet taught Aramaic to locals in Beirut’s Institute of Eastern Languages. […] This kind of erudition impressed my father far more than scientific assembly-line work. I may have something in my genes dirving me away from bildungsphilisters. [Page 28] a scalable profession is good only if you are successful; they are more competitive, produce monstrous inequalities and are far more random. Consider the example of the first music recording, of the alphabet, of the printing press. Today a few take almost everything; the rest, next to nothing [page 30]. [Page 85] Intellectual, scientific, and artistic activities belong to the province of Extremistan. I am still looking for a single counter-example, a non-dull activity that belongs to Mediocristan. [Page 102] The consequence of the superstar dynamic is that what we call “literary heritage” or “literary treasures” is a minute proportion of what has been produced cumulatively. Balzac was just the beneficiary of disproportionate luck compared to his peers. [Page 118] The problem here with the universe and the human race is that we are the surviving Casanovas (who should not have survived and had his life without luck – no destiny]. One thousand and one days or the story of the turkey confirms to me that an individual may not owe to the society that fed them initially! [Page 239] Standard deviations do not exist outside the Gaussian, or if they do exist, they do not matter and do not explain much. But it gets worse. The Gaussian family (which includes various friends and relatives, such as the Poisson law) are the only class of distributions that the standard deviation (and the average) is sufficient to describe. You need nothing else. The bell curve satisfies the reductionism of the deluded. There are other notions that have little or no significance outside of the Gaussian: correlation and worse, regression. Yet they are deeply ingrained in our methods: it is hard to have a business conversation without hearing the word correlation. [Page 240] Taleb has nothing against mathematicians, but he refers to Hardy’s views: The “real” mathematics of the “real” mathematicians, the mathematics of Fermat end Euler and Gauss and Abel and Riemann, is almost wholly “useless” (and this is as true of “applied” as of “pure” mathematics). [Page 252] A critical feature of Gaussian statistics is the inclusion of two assumptions: First central assumption: the flips are independent of one another. The coin has no memory. The fact that you got heads or tails on the previous flip does not change the odds of your getting heads or tails on the next one. You do not become a “better” coin flipper over time. If you introduce memory, or skills in flipping, the entire Gaussian business becomes shaky. (Whereas there is preferential attachment and cumulative advantage in non-Gaussian events.) Second central assumption: no “wild” jump. The step size in the building block of the basic random walk is always known, namely one step. There is no uncertainty as to the size of the step. […] I have not for the life of me been able to find anyone around me in the business and statistical world who was intellectually consistent in that he both accepted the Black Swan and rejected the Gaussian and Gaussian tools. Many people accepted my Black Swan idea but could not take its logical conclusion, which is that you cannot use one single measure for randomness called standard deviation (and call it “risk”), you cannot expect a simple answer to characterize uncertainty. But Taleb goes one step further. [Page 272] “But fractal randomness does not yield precise answer. […] Mandelbrot’s fractals allow us to account for a few Black Swans but not all. […] A gray swan concerns modelable extreme events, a black swan is about unknown unknowns. […] I repeat: Mandelbrot deals with gray swans; I deal with the Black Swan. So Mandelbrot domesticated many of my Black Swans, but not all of them, not completely. Taleb shows that the stock crashes are sometimes linked to bad modeling and is particularly critical of the Black-Scholes options. He is very much critical of the stock portfolio theories and related Nobel prizes (Markowitz, Samuelson, Hicks or Debreu, “wrecking the ideas of Keynes”. 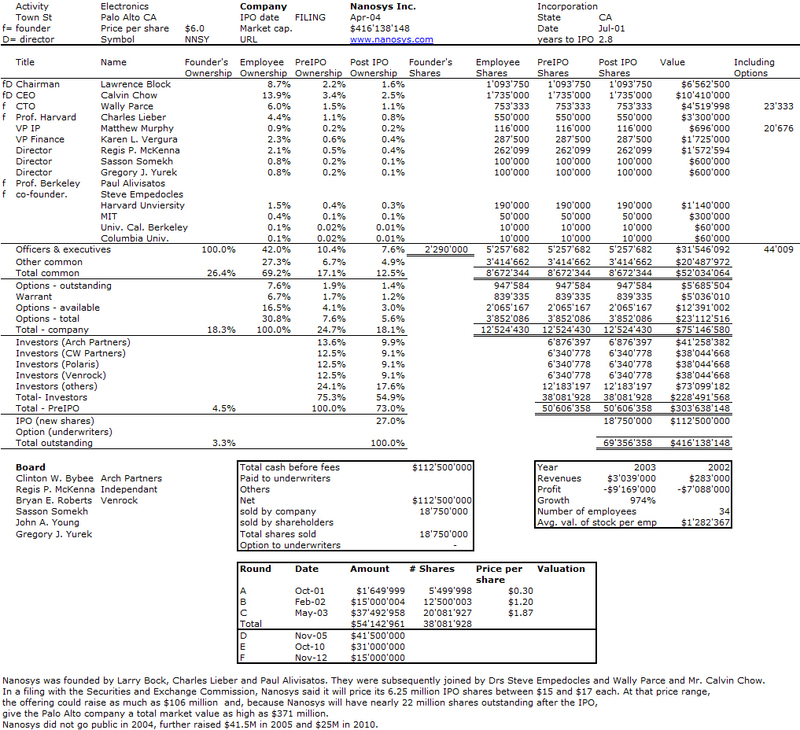 The story of the LTCM hedge fund is an illustration of Taleb’s points. [Page xxv] Almost no discovery, no technologies of note came from design and planning – they were just Black swans. […] So I disagree with the followers of Marx and those of Adam Smith: the reason free markets work is because they allow people to be lucky thanks to aggressive trial and error, not by giving rewards or “incentives” for skill. [Page 17] The business world – inelegant, dull, pompous, greedy, unintellectual, selfish and boring. […] What I saw was that in some of the most prestigious business schools in the world, the executives of the most powerful corporations were coming to describe what they did for a living and it was possible that they too did not know what was going on. [Page 135] When I ask people to name three recently implemented technologies that most impact our world today, they usually propose the computer, the Internet and the laser. All three were unplanned, unpredicted and unappreciated upon their discovery, and remained unappreciated well after their initial use. They were consequential. They were Black Swans. [Page 295] Half of the time I am a hyperskeptic; the other half I hold certainties. […] Half of the time I hate Black Swans, the other half I love them. […] Half of the time I am hyperconservative; the other half I am hyperaggressive”. I could delete the quotes! This entry was posted in Must watch or read and tagged Black Swan, Failure, Mathematics, Risk, Statistics, Success, Taleb, Uncertainty on July 9, 2012 by Hervé Lebret.